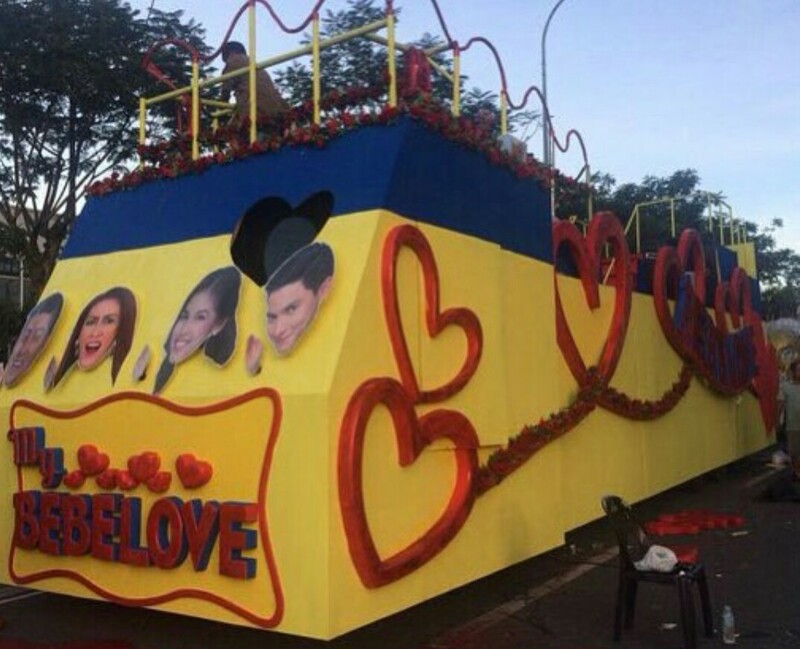 Here’s the float for the My Bebe Love MMFF entry. The vehicle is in yellow and blue theme with the main cast shown in front. And we got huge red hearts all over on the sides.